Being literate is essential in almost every aspect of adult life whether we are planning a holiday, selecting a DVD or delivering parcels. 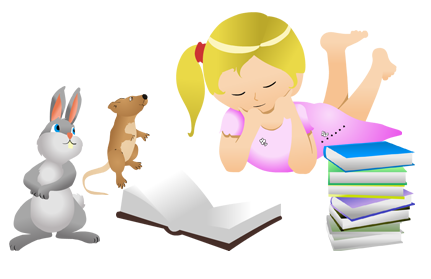 During the early years children are able to develop a full understanding of literature before they begin to read and write, enabling them to use prompts and cues. This area focuses on children listening to, learning, repeating and starting to have favourite stories, rhymes, songs, poems or jingles. Once children have listened to stories regularly they will start to repeat words and phrases from them either indicating they want to listen to their story or as a way as starting to use narrative in play. Children will also learn to fill in the gaps of well-known rhymes whilst singing or taking part in action songs. This aspect looks at the early stages of writing and building up the muscles required to do so. Before children can learn to write they must first master the art of speaking and understanding. Children will start to learn to write by making marks using both sensory and physical experiences in sand, paint or water. Children will make random marks as opposed to forming symbols. The marks still have meaning but the children will understand and explain what the meanings are. Children at this age start to differentiate between the marks they make talking to you about what each different mark is. At Toybox we draw attention to different marks in the environment, talk about what they are, what they mean and what they represent enabling children to use this knowledge when making marks. We encourage children to make marks in lots of different ways with different tools. Children will have opportunity to make marks on paper with paints, chalks and crayons, they will be able to make marks in sand with hands, brushes and moulds, they can also make marks in shaving foam with cars, trains and stamps to talk about the different marks each object leaves.